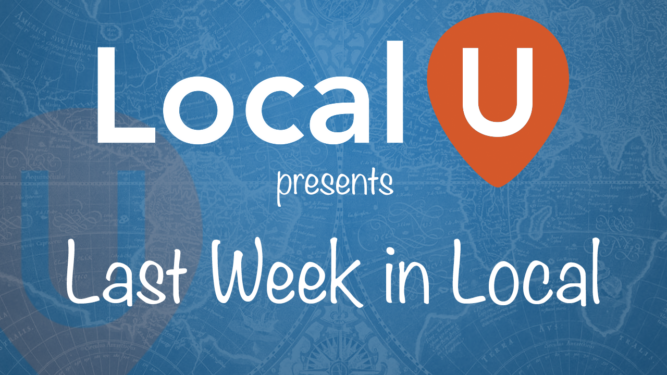 Join Local U for the latest public episode of Last Week in Local, a weekly conversation about the articles that attracted our attention during the past week ending January 8th. This week features Mary Bowling &amp; Mike Blumenthal. The fiction of Amazon’s position as the slayer of retail stores is somewhat grounded in their rate of growth, currently 25.9%, as compared to that of all of retail sales, which is a much smaller 4.2%. Amazon’s sales grew by an impressive $33.2 billion year over year (through September 2017). Retail Sales in total, without Amazon, grew by approximately $200 billion, or six times more than Amazon. Walmart is rolling out its "Scan & Go" technology to 100 additional stores by the end of January. The technology enables shoppers to scan and pay for items without checkout lanes, registers, or cashiers. L2 analysts find that the reach of the three leading OTAs TripAdvisor, Expedia, and Kayak still far exceeds the independent reach of hotel brands’ platforms. But large brands like Hilton and Marriott were able to compete head-to-head with major OTAs in paid results for unbranded terms, and top performer Hilton was able to gain more visibility than leading OTAs Expedia and Booking.com. 2017 was a crazy year in local. What can we look forward to in 2018? Will Google compete with AirBNB? (yes) Will voice take its place in local? (Yes, no, maybe so) And what about AMP? See what David Mihm and Mike Blumenthal predict as they look into their crystal balls. Also see this related article. In an effort to up its signal to noise ratio, Facebook may go local. The company is testing a new area of its app called "Today In," a mix of city-specific events, announcements and local news. From John Gruber: Who knows what they’re actually changing, but I’ll take this opportunity to reiterate what I’ve believed all along: news publishers that have relied on Facebook for traffic are fools. The only audience you can count on is an audience you’ve built yourself and have a direct relationship with. Short article in Digital Journal talking about Google Guarantees. 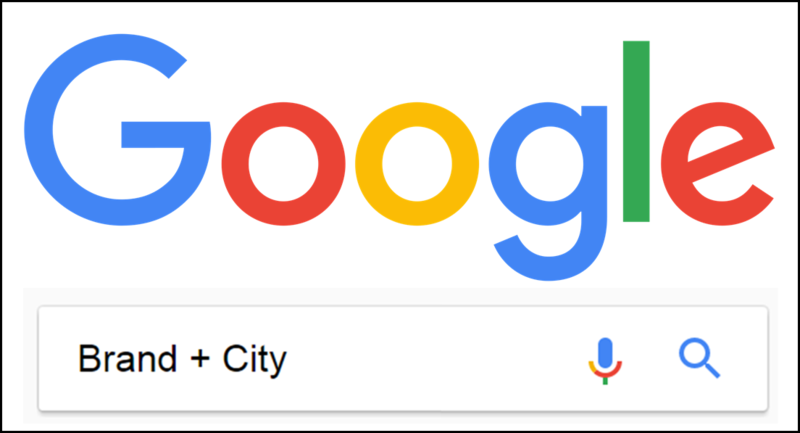 It points out that any business that gets through the verification process automatically gets a boost to their reputation in the eyes of searchers because of Google vouching for them. However, if you have a bad reputation I think you'd better work on that first - or at least at the same time you're getting verified - because people are still going to want to see good ratings and reviews. Things are heating up in the battle for voice AND the home. The International Consumer Electronics show is going on last week and Apple and Google - companies that usually skip it - are there in full force. Why because they are looking for partners in IoT. 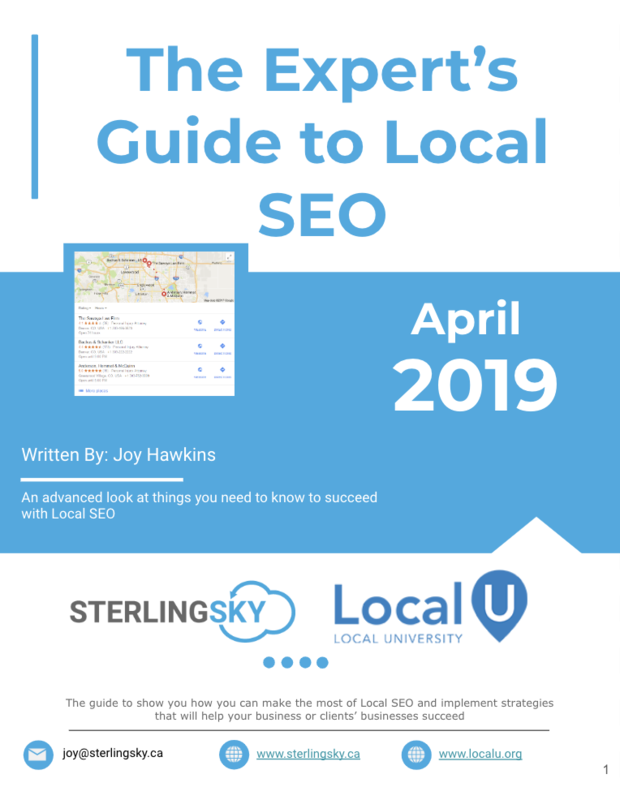 Another chunk of BrightLocal's annual Local Search survey is discussed at Search Engine Journal talking about earnings and demand for skills. What types of content really earned the most links? Content had to earn 300+ links to be include in this study, but some small business content did have that kind of success. Make the best content in your niche and you'll get some links. Mike and Aaron Weiche and I recently spoke at the Jacuzzi and Sundance Spas Dealer conference. Even their top dealers were unaware of most of the recent changes and newish features in Google, like Posts, Q&A, etc. As agencies and consultants, we need to be researching and testing these things and then giving our clients an overview of the opportunities they present for their particular businesses. Instead, we heard stories about agencies recommending things - like a separate website for each location of a business - that are good for the agency but not so good for the client. Don't be one of those guys!